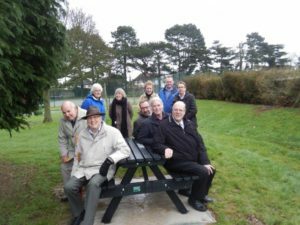 The Friends of South Park have installed some new picnic benches thanks to a £1,500 KCC members grant from Dan Daley, Rob Bird and Brian Clark. The ‘Friends’ wanted to see an area of the park expanded into a recognized picnic area, to be used by all visitors. Prior to the funding being granted there was only one picnic bench in this area. With the funding they were able to have two more benches added and hope to add to this as funding permits.